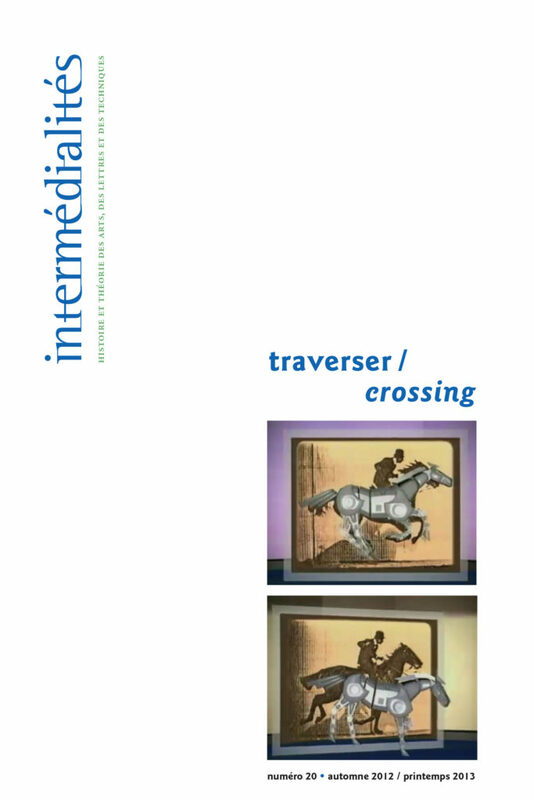 The title “Traverser/crossing” evokes the idea of transition—the transition from paper to digital, certainly—but also the idea of exploration. This issue therefore comprises a selection of texts, published in a preliminary experimental form on the journal’s website, as part of its electronic supplements. These texts, resulting from workshops and seminars on intermediality, accurately depict the diversity of the corpora and historical configurations that Intermediality spans, while demonstrating the effectiveness of intermedial approaches in the understanding of complex phenomena, whatever their nature or the level at which they occur.